> Blog > Will a cellular signal booster work for everyone in the office, regardless of carrier and service? American consumers have a bewildering variety of cell phone options to choose from as carriers both large and small spend billions of dollars expanding – and marketing – their wireless voice and data products. It’s given rise to some of the stiffest competition ever seen in the U.S. marketplace, as each company tries to improve upon the existing technology, each with better, faster and cheaper services. Unfortunately, it seems like nearly everyone has experienced the bad news that comes on the first day of a new job, or while trying to make an important call in a hospital, hotel or university building, only to discover that you’ve found yourself in a black hole of cell phone service. The sense of panic and frustration necessitates a solution. For many people, suddenly lost without their cell connection, disbelief turns into improvised, time-consuming visits to the parking lot, roof, or any spot where an expensive but suddenly bar-deprived phone can get a better signal. It’s created an entire generation of roaming employees, sneaking out or hunting around to desperately try to get their phone to work. But what if you could provide a strong, clear cell phone signal for all your employees and visitors, regardless of the carrier they’ve chosen? 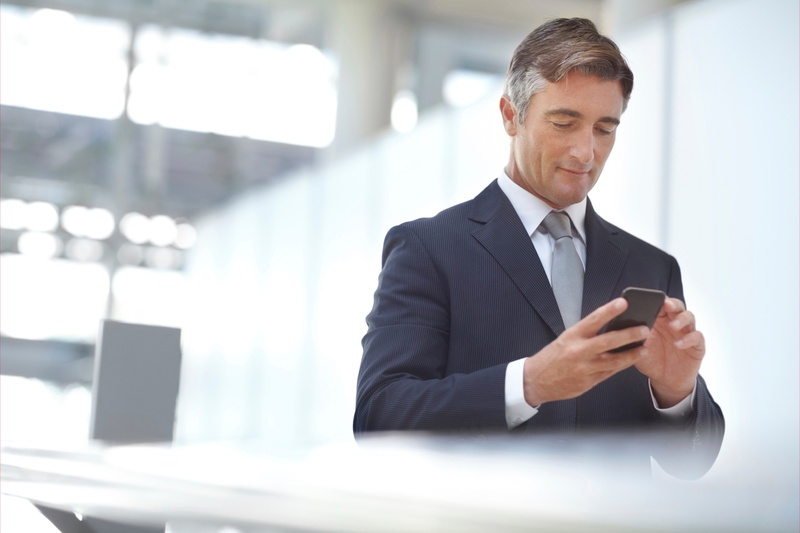 What kind of an impact on productivity might that make, especially considering how important today’s smartphones and tablets are for 24/7 personal and business connectivity? The solution might be as simple as one of a growing range of commercial-grade cell phone signal booster systemsphone signal booster systems. They’re designed to compensate for the various issues that help create those dreaded black holes in the first place – signal-impenetrable walls and building materials, above-street-level cell towers, or too much distance to the nearest tower. Cell phone signal boosters are freestanding equipment that capture and enhance the environmental signals put out by all of the carriers serving your community, redistributing the boosted signal in your workplace – no matter how large your work environment. Rather than contending with the ongoing disappointment of dropped calls, slow downloads and poor voice quality, your employees and visitors instead get full-bar reception, guaranteed. And best of all, many sophisticated boosters – such as the Wilson Pro range of commercial-grade equipment – are completely carrier-agnostic, meaning they provide equally boosted service to any carrier with a reliable signal near your workplace. It doesn’t matter if you subscribe to one of the major national carriers, a smaller regional carrier, or a carrier largely catering to prepaid customers: Everyone gets an equal dose of boosted signal, as long as that carrier’s towers are active near your workplace. Contrast this solution with carrier-specific boosters offered by the cell phone companies themselves, or the elaborate arrangements required to provide universal carrier access through the more expensive, complicated Distributed Antenna System signal booster technology. What’s more, cell phone signal boosters also do the job in reverse, taking the voice or data signals from your employees’ or visitors’ phones and boosting them to create better, faster and more well-connected signals back to the carriers’ towers. Upload times drastically improve, while call quality and full 4G LTE service improves in both directions. The ability to level the carrier playing field while simultaneously offering those in your workspace full access to email, text, video streaming and high-quality voice calls can result in reliable and efficient office connectivity. If you’re interested in learning more about how Wilson Pro’s signal boosters can offer folks in your working environment full and equal access to their carrier of choice, learn about our signal booster products. 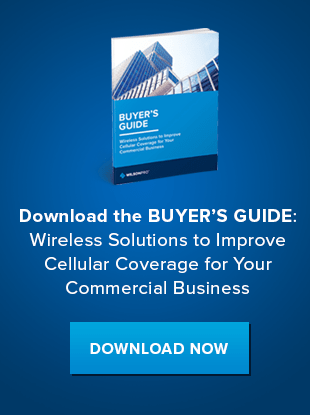 Or, download our Buyer's Guide to understand which wireless solution is best for your unique business needs.